Under pressure from UCU, talks with Universities UK are happening today and tomorrow. However the employers still refuse to meet beyond 18 December so please post back your ballot paper if you haven't already done so. We've also answered the ten questions asked most often about USS. What is the impact of the employers' proposals on staff? The employers proposed this - have they published any analysis? UUK have finally published an analysis of the impact of their proposals produced by Aon. Their headline is that for current members, retirement income losses will range between 10 and 20%. However, their analysis includes your state pension and this has the effect of superficially reducing the impact. The analysis also does not use the USS market predictions, preferring a more upbeat assessment from Aon and this also superficially reduces the loss. Even on this very favourable (to the employers) basis, it is worth noting that for a typical new starter there would be a 25% reduction in the estimated annual benefits provided by USS. You can read the employers analysis here. Whose figures should I trust? The analysis independently produced for UCU is based on the market estimates made by USS itself. Our analysis does not include aspects which are beyond the scope of USS such as the state pension. While any market estimates are subject to error, it is odd that the employers have chosen not to use USS data for this exercise when they have based their claims that current pensions are unsustainable upon them. One surprising aspect of the recent publication of UUK's is that the employers clearly had not done any modelling of the impact on members of their proposals before they tabled them on 13 November. Can you explain the significance of 18 December? Are there any negotiations at the moment and what is UCU saying to the employers? UCU is meeting the employers this week. While we have challenged the valuation methodology used by USS, our main current priority is to defend the principle of the guaranteed pension - what is called a 'defined benefit'. We are challenging the employers on their assertion that they will not pay more to support USS, even though their expenditure on staff as a proportion of expenditure has fallen massively in recent years. UCU is modelling a range of outcomes to see which are best for members but we will not be drawn into a public game on the employers' terms which in effect would accept that your pensions have to fall substantially. Can the employers really afford to pay more? An analysis carried out for USS in 2017 concluded that 'most employers could afford an increase in contributions from the current 18% of pensionable salary to 21%, albeit not without changes to business plans and/or prioritisation of pension contributions. Many would also be able to afford up to 25%'. 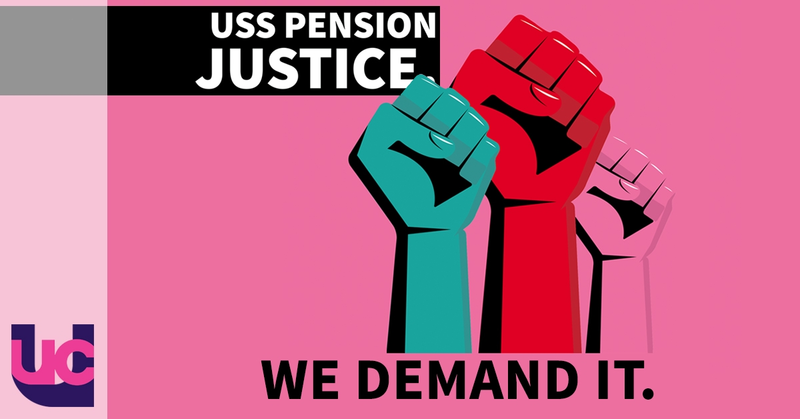 UCU believes that in addition to providing financial security for staff, USS is also a powerful recruitment and retention tool and is worth investing in - not least because the rival Teachers Pension Scheme already offers substantially better benefits. What are the prospects for a breakthrough? What happens next if the proposal is imposed? UCU's current ballot is about your employer's failure to reach an agreement with us to protect your pension benefits. In the event of imposition, we will seek such agreements with each USS employer. We are very determined to achieve justice for you but our ability to achieve this will depend on UCU's ballot result. If we win the ballot we will launch the most sustained campaign of industrial action seen in universities until your employers agree with us how they can make good your pension losses. Why does the union need a 50% turnout in the ballot? I haven't received a ballot paper and have ordered a replacement which hasn't arrived yet. What should I do? I ordered a replacement ballot paper and then found my original - what should I do? Can I join the union and get a vote? What kind of strike action is UCU proposing in the new year?